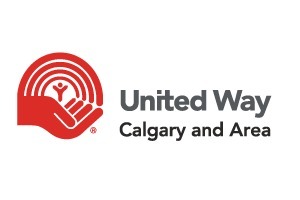 A group fundraising campaign for United Way of Calgary and Area. The Walk/Run is a fantastic way to get some exercise and to engage with your colleagues, friends, and leaders, all while supporting the United Way Calgary through the SunCares Community Giving Network. This is always a high profile event; in 2018 over 170 enthusiastic Suncor employees participated! Our goal is to grow participation to new heights in 2019 so: PLEASE SIGN UP NOW and encourage your colleagues to do the same! The 2019 event will start from 6th Ave Plaza just outside Suncor Energy Center. Participants will walk or run along a well flagged and marshalled 3km or 5km course, travelling first along the south side of the Bow River before looping to the North side and heading around to finish at 6th Ave Plaza. Mike MacSween, EVP Upstream, will attend and kick off the event, followed by an engaging keynote address delivered by an impact speaker from the United Way Calgary. Click on the ‘PARTICIPATE’ tab to sign up now for a nominal donation of $10 to the United Way. Can't run or walk yourself? You can still contribute by supporting one of your colleagues. (Note that if you choose to donate $25 or more an official tax receipt will be issued!). Our top fundraiser will be recognized during the event, so we encourage you to be active in raising money and awareness for this great cause! 100% of the proceeds raised through event registration and participant support will go toward the United Way. Q: Do I need to bring a ticket or proof of registration with me to the event on May 23rd? Q: Will the event go ahead rain or shine? Q: Will I get a registration confirmation email and subsequent email updates? Q: Does this registration site close prior to May 23rd? A: No, the registration site will remain open right through to the completion of the event. United Way works tirelessly to improve lives through the power of local communities. We invest in local programs and collaborations in the areas of poverty, kids, and communities to help local residents thrive.